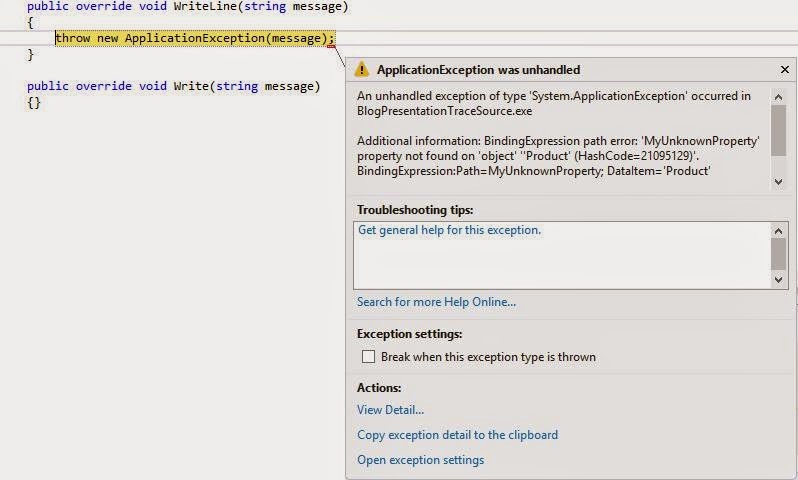 Generally, you'll only add implementation details to the WriteLine method. 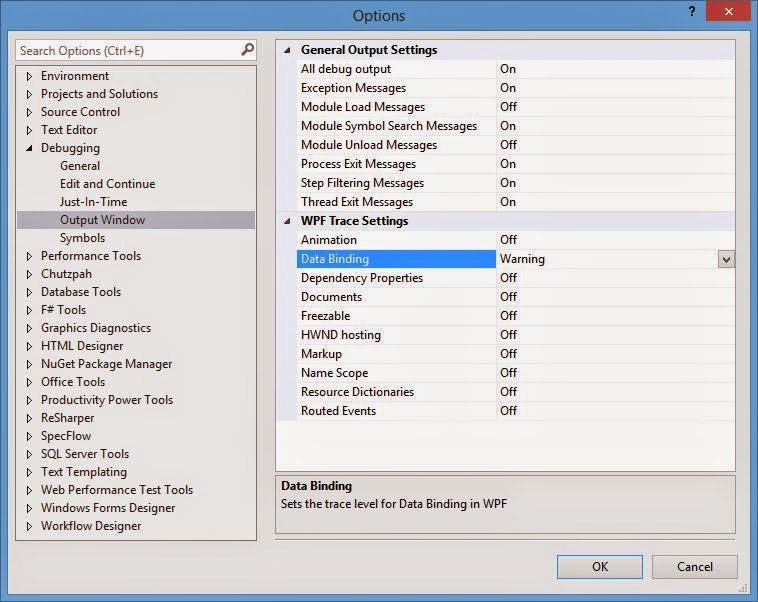 When a binding error is detected the WPF will call your WriteLine and Write methods. This can be quite annoying, but at least you won't miss any binding errors. One thing to note: your listener only gets called in Debug builds!